Decades of family stewardship is evident in so many aspects of the ranch and its operation. 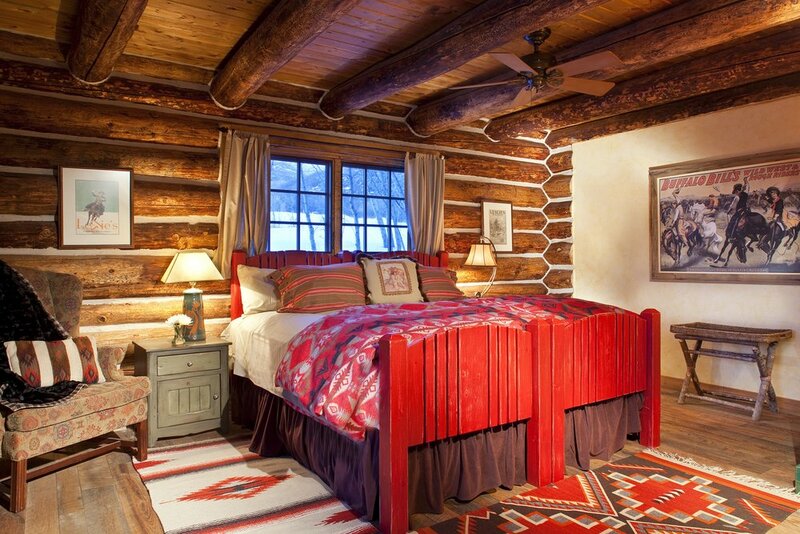 Made to feel both comfortable and rustically elegant, the interiors throughout Smith Fork Ranch reveal the owner’s appreciation for the great art and design traditions of the American West. Rich wood and leather blend with hand-forged details, hand-blown glass and hammered metal lighting, rooting each space in a sense of timelessness. Custom designed and hand-made pieces mix with American Primitive antiques, art, rugs and accessories from the leading western and Native American artisans of the past 80 years. No guest who stays at Smith Fork Ranch will be left for wanting. An array of amenities make it possible to experience your very own world-class western fantasy. 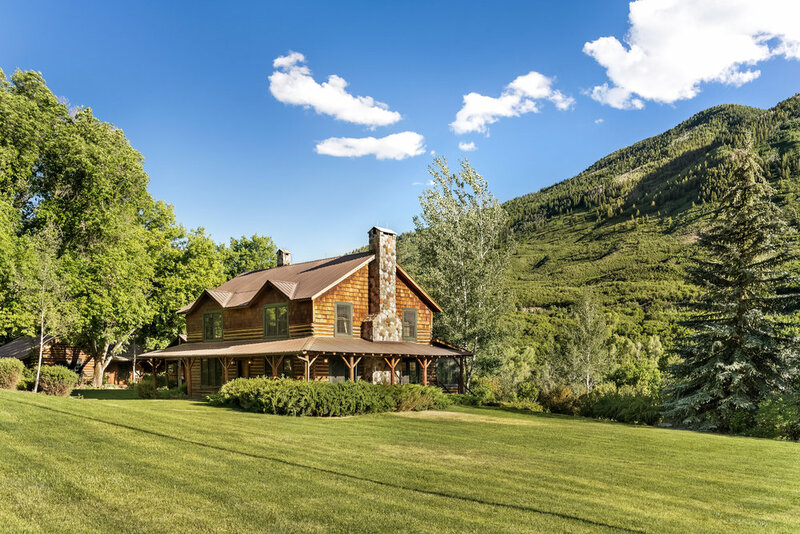 There’s fly fishing on three private miles of the Smith Fork of the Gunnison River plus six trout ponds, a sporting clays/trap shooting center, a swimming pond with dock, an archery range, 10 mountain bikes and trails for hiking, biking or horseback riding. An award-winning farmstead offers an 8,000 square-foot organic garden and chickens, which supply most of the vegetables, fruits and eggs for the ranch’s kitchen. A renowned wine cellar is also onsite for pairing with the farm-to-table cuisine at Smith Fork Ranch. Other amenities passed down to the next owner include tractors, vehicles, equipment and tools for daily ranch management, plus an extensive portfolio of water rights for irrigation, pure mountain spring drinking water and year-round permits from the U.S. Forest Service for both recreation and hunting in the surrounding Gunnison National Forest. Smith Fork Ranch is truly an outpost of luxury in the wilderness, with a deep, enduring connection to the Old West. Few legacy properties exist like Smith Fork Ranch — a rare treasure on a hidden, pristine piece of Colorado. Open annually from late May to late October, Smith Fork Ranch is an intimate luxury destination that prides itself on having a one-to-one staff-to-guest ratio. Service is at the upmost importance at the Smith Fork Ranch, and this turn-key operation is ready for the next homeowner. Celebrating farm-to-table, five-star cuisine, Smith Fork Ranch is also a renowned culinary destination, with an on-site organic garden that produces more than 80 varieties of herbs, fruits and vegetables. Smith Fork Ranch is the only ranch of its kind to be recognized by Wine Spectator for its extensive selection of more than 400 fine wines from around the world. As an added touch of character, the ranch also has its own signature wine brand, created in collaboration with Alfred Eames Cellars, a premier North Fork Valley winemaker. There is an enviable portfolio of historic irrigation rights and a carefully thought out court-approved plan of augmentation which means the beautiful fishing ponds are filled and maintained, the ranch domestic water supply is plentiful, and the historic irrigation rights are preserved through use.